Daughter of Charles & Lucy (Cotton) Jackson. Plymouth Rock as she loved to remember. Died November 13th 1892 in Concord. In 1968, in a quivering falsetto, singer musician Tiny Tim released a song titled, “Tip Toe through the Tulips”. Accompanied by his ukulele, the unlikely song by the quirky singer became a hit. Tiny Tim appeared on such shows as Rowan and Martin’s Laugh In and the Tonight Show with Johnny Carson. The song was written by Al Dubin (lyrics) and Joe Burke (music) in 1929 and had its first burst of popularity that year holding the number one spot on the charts for ten weeks. The song is a plea to meet in a garden of tulips to seal away for a kiss in the moonlight. Whether the original songwriters or Tiny Tim knew the symbolism of the tulip or not is unclear. But in the Victorian language of flowers and in funerary symbolism, the tulip represents love and passion. What sets this flower apart from the rose as a symbol of love is that it is thornless. It is also unusual in that, after the tender flower is cut, it continues to grow. Because of this, it is often associated with eternal life. 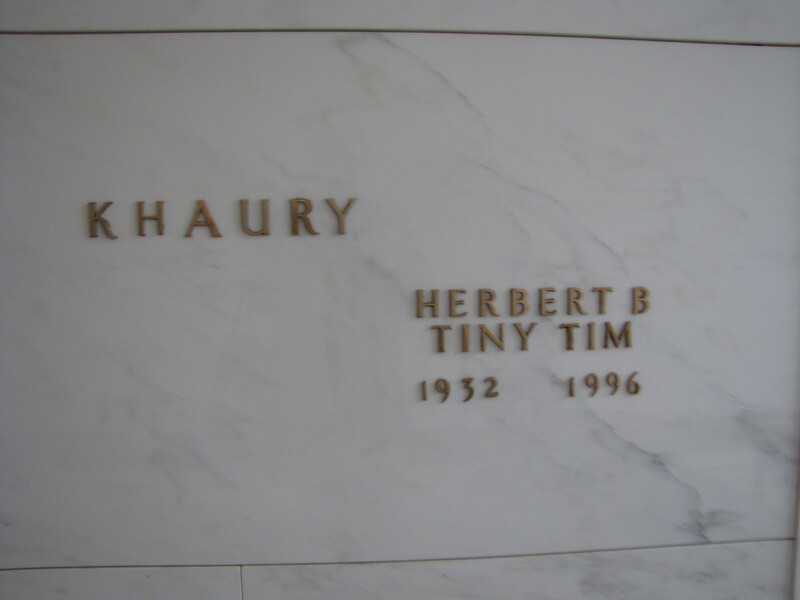 Tiny Tim (Herbert Khaury) died in Minneapolis after a heart attack while giving a performance to a woman’s club. He is buried in the Lakewood Cemetery Mausoleum, Minneapolis, Minnesota, in a plain white-marble crypt. Even the lettering on the face of his crypt belies the flamboyant and eccentric musician who amused and entertained audiences. 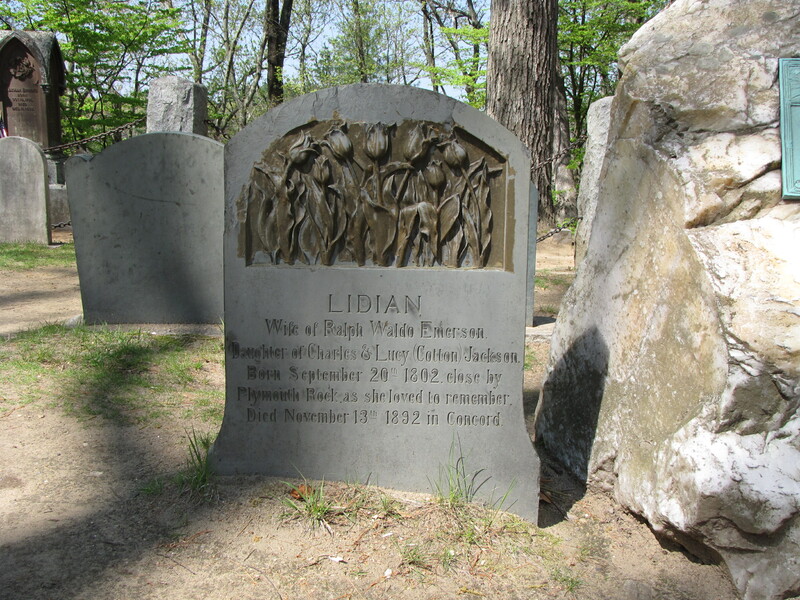 This entry was posted in Famous graves, Symbolism and tagged Lidian Emerson, Tiny Tim, tulips. Bookmark the permalink. I teach Adolescent. Literature and last semester some of my students read_The Language of Flowers: A Novel_ by Vanessa Diffenbaugh for their independent project. Diffenbaugh includes a glossary as well as incorporates the meaning of flowers in her novel. It’s nice to imagine a whole new generation of young people practicing and understanding the Victorian language of flowers. This is how I originally learned of the meaning behind the tulip.